Excel Long Range Sportfishing returned to the water after spending a few months in the boatyard. 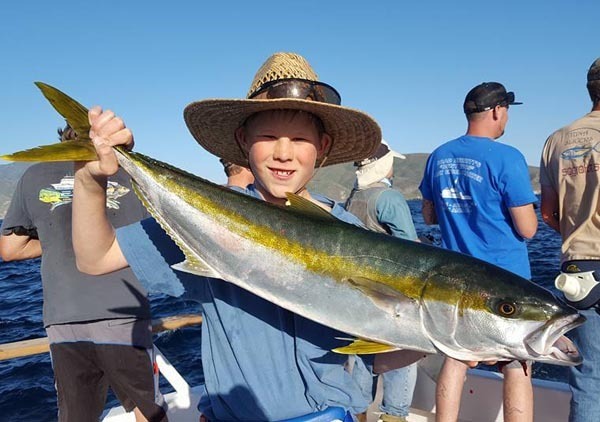 The trip, which launched just ahead of the Day at the Docks event on April 17, netted 130 yellowtail as of April 16, including this one reeled in by a young angler. San Diego’s 2016 fishing season is officially underway.